Thousands of mostly western tourists flocked to the Ban Na Thorn pier on Koh Samui on Tuesday for a journey to Ko Pha-ngan in Surat Thani province to join the world’s famous Full Moon Party tonight which also coincides with the year’s first Super Full Moon. 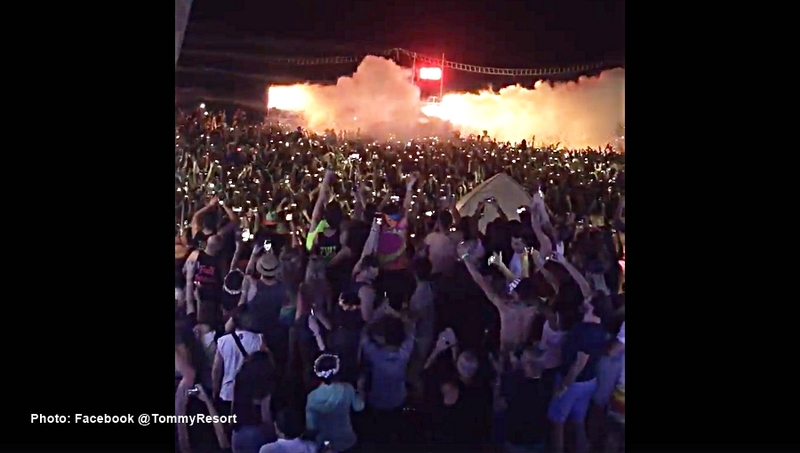 The Ko Pha-ngan Tourism Promotion Association estimated that there would be between 30,000-40,000 tourists on the island tonight (Jan 2) to join wild parties on the beach and to celebrate the New Year. All hotels, resorts and guest houses on Ko Pha-ngan were fully booked. Many tourists who did not make advance bookings might have to be content themselves with partying and sleeping on the beach.